Hey all, I missed last week because life seems to be moving at warp speed lately and sometimes, even with the best intentions, things slip through the cracks. Still, I have been counting my blessings and taking special note of the beauty God's placed around me...even in me. Yeah, that last one's tougher:) So here's my list for this week, and even if it's just for today, please join me. 1) Needing to wear my sunglasses in February. 2) Sweet notes from my children, bound in a beautiful blue journal. 3) Friends who listen and comfort. 4) My daughter's desire to still be hugged every single morning. 5) Shared laughter with my husband. 6) The time and ability to daydream. 7) A snowstorm that provided a surprise day of rest. I truly believe one of the most beautiful things in life is friendship. Friends with open arms, listening ears, tears that fall with yours, and laughter that calls out your own. 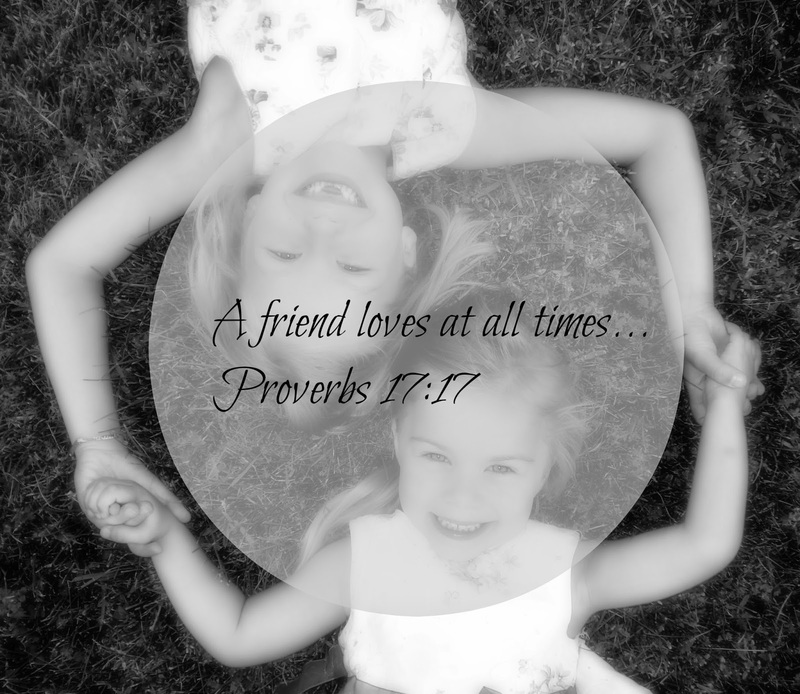 Friends who encourage when you need it, hold your feet to the fire, and speak honesty wrapped in love. There is nothing like a true friend, and in looking into the faces of mine I see absolute beauty that has touched my life. What blessings and beauty do you see around you today? You are so smart to count your blessings. I try to stop and do that, and from time to time I go through my prayer journal with a high lighter and write Thank You to God for blessings of answered prayers. It's a great reminder to me of how awesome our God is. Some of my current blessings are: Hubby got back from business trip. Youngest son is considering mission trip. Blessed with sweet granddaughters who light up my day when I see them. Actually, I'm blessed with a great family. My nephew's wife is going to have a baby today, and I'll get to spend time will my family on Saturday. Those are beautiful blessings, Jackie! And I find I have to be intentional too or the days slip past. Even with it in mind, I still some days forget to count them:) It's a process for sure!